Art is a series of creative and emotional expressions uniquely created by the mind and inspired by different aspects of life. These visual representations are frequently enjoyed by the eyes and minds of those who wish to appreciate it. Bank of the Philippine Islands is giving Filipinos a chance to appreciate art and perhaps inspire them to buy relatively inexpensive art pieces through Art in the Park, the country’s most affordable art fair which will be held at the Jaime Velasquez Park in Makati City on March 17. “We have been supporting Art in the Park since it started in 2006 and we will continue to raise awareness and foster appreciation for the Philippine culture and heritage to help provide more opportunities for emerging artists and local talents,” said Jenny Lacerna, Head of BPI Credit Cards and Personal Loans Business. BPI, one of the sponsors of the exhibit, is also the exclusive credit card provider for the event. “Interested buyers of artworks can avoid the hassle of carrying around a large amount of cash,” said Lacerna. Aside from making art purchases more convenient, BPI enables more Filipinos to invest in art by offering a zero percent installment option up to 6 months for purchases over P3,000. The venue, Jaime Velasquez Park, provides a relaxed and casual atmosphere in the Philippines’ financial capital, to make sure that the visual arts are more accessible to everyone. Through its art exhibits, this event aims to promote local culture and heritage, allowing the public to be more aware and to have a deeper appreciation for modern and contemporary art in the Philippines. There will be 57 booths composed of galleries, art schools, independent art spaces and collectives. 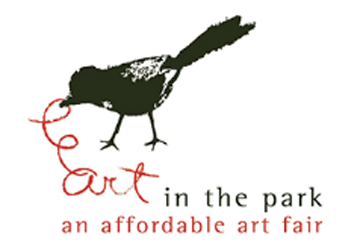 Art in the Park also offers visitors an affordable range of paintings, prints, photographs, sculpture, and new media which are priced at P50,000 and below. Since 2006, this annual event organized by Philippine Art Events, Inc. is held to support the Museum Foundation of the Philippines (MFPI) in its mission to create awareness for the National Museum and its network. Last year’s Art in the Park had a wide variety of pieces to appreciate and affordable art to cop. One of these was an unsigned BenCab art piece, sold as a part of Center for Art, New Ventures and Sustainable Development’s (CANVAS) social experiment. Topics: Bank of the Philippine Islands , Art in the Park , Jenny Lacerna , Philippine Art Events Inc.